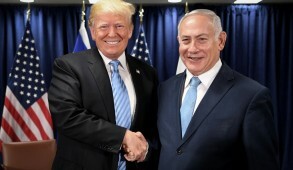 I rubbed my eyes with incredulity when I read bizarre statements emanating from Jonathan Greenblatt the CEO of the Anti-Defamation League (ADL), one of the most powerful American Jewish organizations whose principal mandate is to combat anti-Semitism. A few months ago I was drawn into a heated dispute with Greenblatt after criticizing a kumbaya address he delivered to J Street students which included implicit criticisms of Israeli government policy and a failure to urge J Street to cease demonizing Israel and canvassing the US government to intensify pressure against the Jewish state. Instead, he should have encouraged them to engage in the battle against the mushrooming anti-Semitism proliferating the campus. Greenblatt responded that he was “impressed” with these students and felt that they were “the future Jewish leaders of our community”. But more recently, Greenblatt appears to have entirely lost the plot and behaving as though he remained employed by the Obama administration. He was entirely out of line in his condemnation of the Republican platform as “anti-Zionist” for omitting reference to a two state solution. One can disagree about a two state policy. But for an American Jewish organization which must remain bipartisan and should be concentrating on anti-Semitism, to issue such a statement breaches all conventions. It is totally beyond the ADL’s mandate to involve itself in such partisan political issues. Greenblatt is clearly obsessed with the subject of being “open minded” and tolerant of anti-Israeli groups. He made the extraordinary statement that, whilst disagreeing with Boycott Divestment and Sanctions (BDS) groups which promote anti-Semitism, he considers that they are “animated by a desire for justice” and we should “acknowledge the earnestness of their motives”. One is tempted to remind him that Islamic fundamentalists are also sincere in their beliefs and equally animated by their perverted concept of justice. But the final straw is Greenblatt’s deepening association with the “Black Lives Matter” (BLM) movement. Jews have a long and proud tradition of direct engagement in the civil rights campaign, in the course of which some even sacrificed their lives, making it all the more regrettable that since 1967, many African American groups have been in the forefront of campaigns against Israel. The ADL mandate is to combat all forms of racial discrimination and endorsing legitimate civil rights groups is commendable. However, the recent manifesto released by Black Lives Matter has clear anti-Semitic overtones. This should not come as a surprise to anyone. 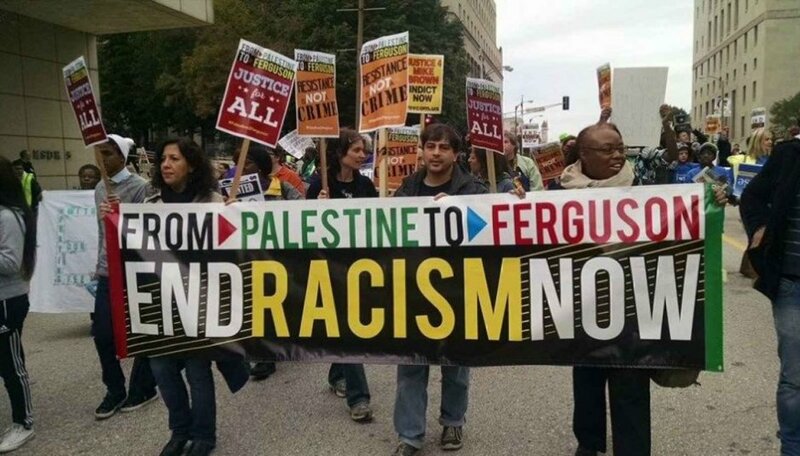 Last year, BLM endorsed a “Black Solidarity Statement with Palestine” which demonized Israel, accusing it of “ethnic cleansing”, “genocide”, apartheid etc. and called on all Black institutions to engage in BDS. 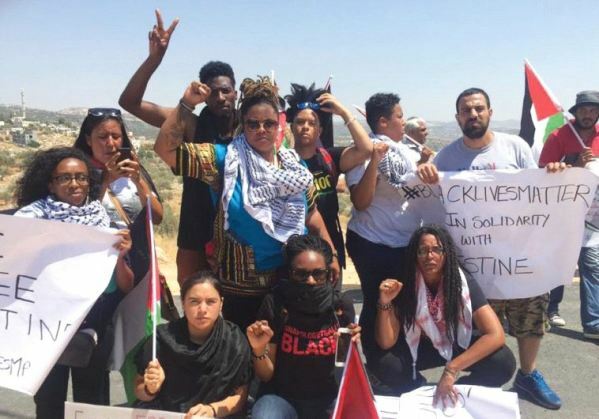 Black Lives Matter are engaged in anti-Israeli demonstrations, teach-ins and other activities, even including visits to Israel to protest the “ethnic cleansing” and “occupation”. It likened New York police behavior with alleged Israeli brutality against Palestinians and in Atlanta BLM accused Israeli counter terrorist training of American police forces as being responsible for the shootings of black Americans. Yet despite pleas and warnings, Greenblatt continues to associate the ADL and by implication the Jewish community with the “Black Lives Matter” movement. Incredibly, in his J Street address he stated that “making sure that ‘Black Lives Matter’… are the struggles of our time”. The ADL did criticize BLM’s accusations of genocide and apartheid and its promotion of BDS against Israel. 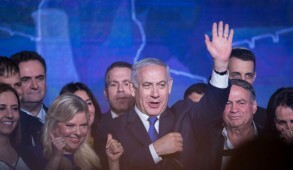 But Greenblatt downplayed and marginalized the anti-Semitic elements to the initiatives “of a small minority of leaders” within the organization and stating that “Israel is far from a principal focal point in the more than 40,000 word document”. Whilst contending that the ADL did not “endorse” or have a formal relationship with the BLM, Greenblatt refused to break with them. Thus, as of now, he insists that the ADL continue to endorse and promote Black Lives Matter domestic educational material in its curriculum resources and family discussion guides in schools and elsewhere because its concerns “are critical civil rights issues that merit attention”. To the best of my knowledge, Greenblatt also failed to publicly condemn the vicious lies and anti-Israeli statements made by the BLM group which visited Israel last month. Furthermore, when Congressman Hank Johnson, a black Democrat notorious for his hostility towards Israel, referred to Jews living in Judea and Samaria as “termites” – a foul anti-Semitic expression – Greenblatt, who was willing to condemn the Republicans for not relating to a two state policy, saw fit to merely tweet “This is an offensive and unhelpful characterization. 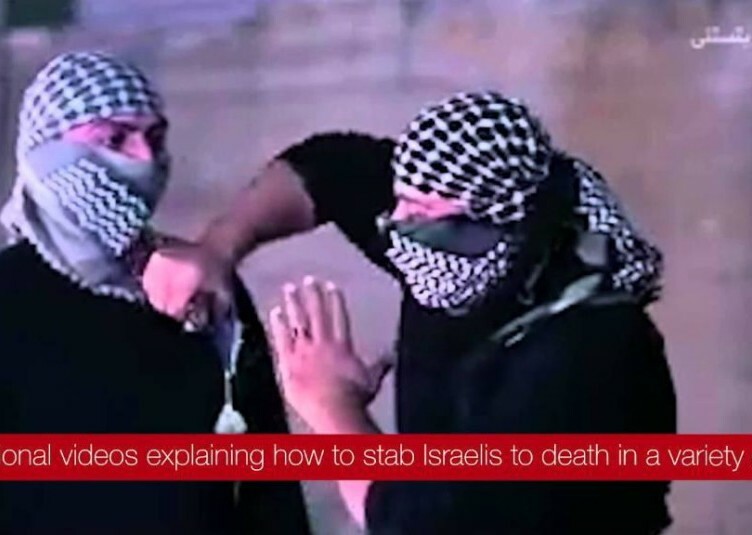 Demonization, dehumanization of settlers doesn’t advance peace”. Such a timid response to this outrageous expression from American Jewry’s purported premier body designated to combat anti-Semitism, is incomprehensible. This is taking place at a time when anti-Semitism and demonization of Israel in American campuses, under the guise of human rights, has mushroomed with some campuses being described as cesspools of anti-Semitism. That is the principal issue on which the ADL (and other major Jewish organizations) should now be concentrating. Incredibly Greenblatt actually directed his ire at the ZOA rather than the anti-Semites. 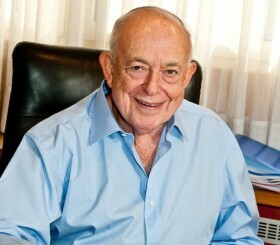 He proclaimed to the Jewish Telegraphic Agency “We are a civil rights organization. The ZOA is not. We are an organization focused on combating anti-Semitism and bigotry. The ZOA are not.” The ADL even castigated a Jewish newspaper for having the effrontery to publish ZOA chief Mort Klein’s justified criticism of ADL for failing to sever its links with BLM, claiming that such remarks amounted to “hate speech”. In other words, the ADL had the chutzpa to declare that the ZOA (which has played a major role in combating the demonization of Israel and anti-Semitism) has no right to express its dissent or criticism of the ADL. This is a fundamentally serious issue for American Jewish leadership. If mainstream Jewish organizations remain silent and fail to criticize the ADL’s reprehensible behavior they will be ushering in a new era in which American Jewry’s hard fought achievements and status in society will be severely undermined. If the CEO of the ADL continues engaging in such partisan politics and refuses to prioritize his organization’s principal resources towards fighting anti-Semitism, he should step down. 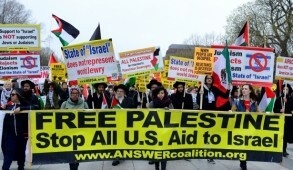 Otherwise the $50 million plus ADL budget is likely to be dramatically reduced when supporters and donors recognize that the organization purporting to combating anti-Semitism is primarily focusing its efforts on seeking liberal acceptance by pursuing progressive agendas, denouncing conservatives, combating Islamophobia and becoming engaged in universal issues and social justice at the expense of its core mandate. These issues are handled by human rights bodies which individual Jews can support as they deem appropriate. The ADL central mandate must be to combat anti-Semitism which is today largely manifested in the demonization and delegitimization of Israel. 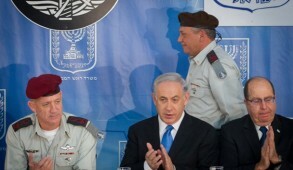 If they elect to abandon this objective, they do not warrant Jewish communal support.